Most expected movie this year 'Badrinath' released today. 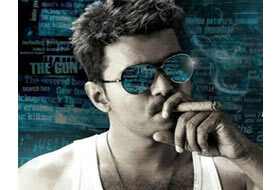 The expectations from the audience was very high and the media also boosted this flick to a hype. The movie is a biggy one in terms of its budget and star cast.Still it lacks audience gaze in terms of its content and presentation. As a commercial movie,an added proportion of masala was there, but somewhat the recipe fails in its overall aspect. Bheeshma Narayan (Prakash Raj) trains the youth to protect the Indian temples.Badrinath (Allu Arjun) gets trained under him and gets the responsibility of Badrinath temple. Alakananda (Tamanna) who is a non believer of god,comes to temple with her grandfather.She falls in love with Badrinath.The rest of the movie is about how he wins in his love and also keep his word to master. 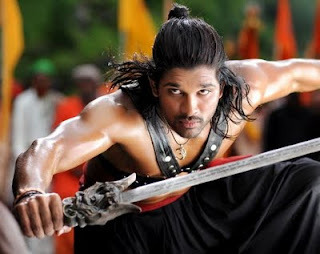 Allu Arjun's dance steps and the songs, which are well visualized, are the highlighting factors of this movie comparing to others.Tamannah’s glamorous show also add colors to this movie. First half of the movie may stand higher than the second. There is nothing much to compare between 'Badrinath' to 'Magadheera'.Both have a different storyline and plot. Overall the movie placed under an average mass movie Category.